I hope you are loving and enjoying Come, Follow Me as much as I am! I'm excited to share with you my February Textables, my February Bulletin Board Kit + introduce my Weekly BINGO Task Tracker! I'll highlight each one below! These are small square images that can be texted to family members in group texts or even used in newsletters, IG pages for youth groups, etc! I love them especially for teens and to send to my college kiddo; helps me feel like I can keep him in the family loop. 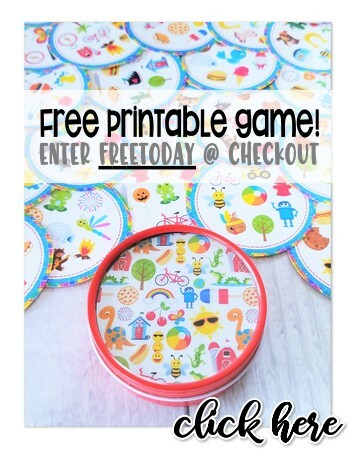 Camille at Chicken Scratch n Sniff is hosting the collection for me (it's a bit different than just using your computer... so be sure to check her instructions and tips for use). Next... (and NEW)... my BINGO Task Trackers! 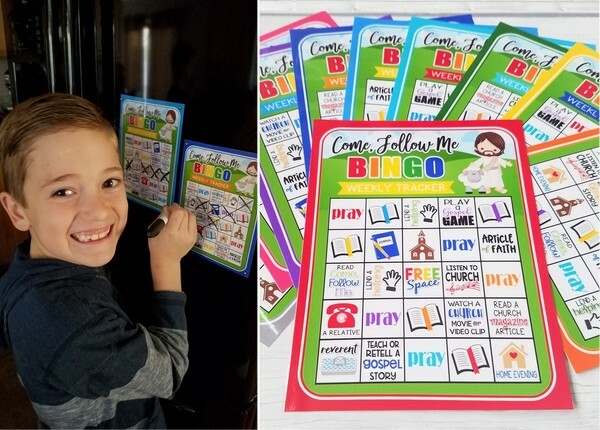 If you are looking for fun ways to incorporate COME FOLLOW ME gospel learning into your daily routine at home and want to give your kids some ownership of their participation - use my BINGO cards to motivate and encourage them! 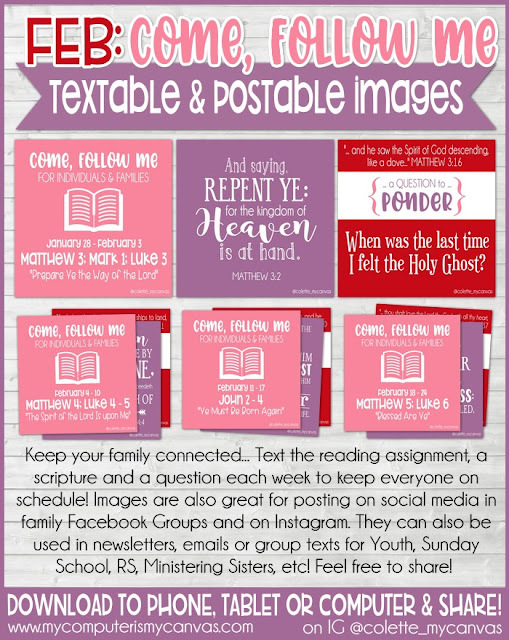 Each card has 24 assorted "gospel to do's" great for young kids to tweens! From praying to reading scriptures, from listening to church music and calling a relative, to serving and more! Think of it as a game - but one that goes on throughout the week. At the same time, it's also a tracker, motivator, reward system and weekly gospel bucket list all in one! Let's be honest though... name an adult that DOESN'T need a little kick in the pants in these areas too. My hubs and I are using them with our kids to track our weekly progress too! There are 10 cards in the set, let everyone swap cards each week. Make it fun by setting a family BLACKOUT challenge or have treat jar to reward those who get a regular BINGO! Next... my February Family Bulletin Board Kit! Having a Family Bulletin Board has been SO FUN!! Each kit is 8-10 pages (depending on how many weeks are in the month) - I just print, my kids cut it out and are responsible for swapping out the pieces! 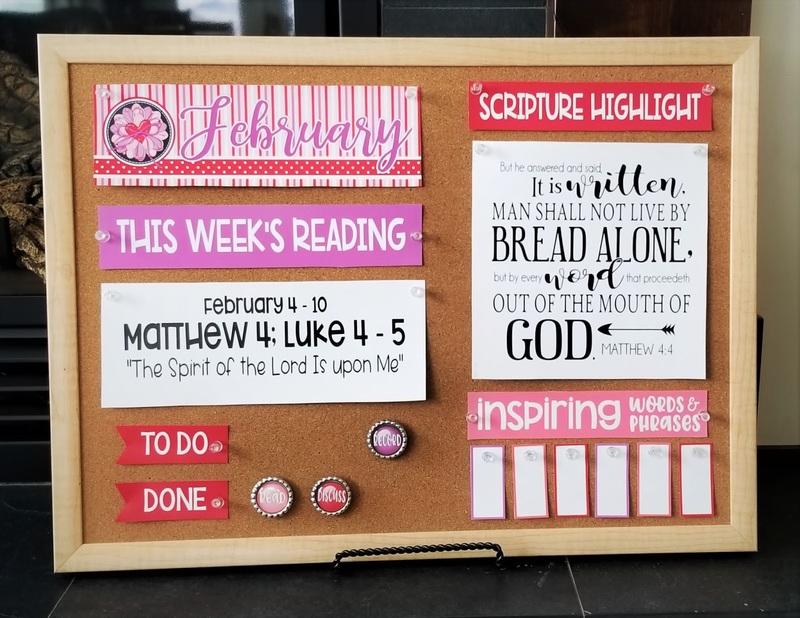 The weekly reading assignment, the scripture highlight and the word strips are changed weekly. I have them cut each set out, clip together - then I have a sheet protector stapled to the back of my board and store them in there for easy swapping. You can get the kits monthly - or you can order one of my discounted PRE-ORDER bundles where you'll automatically receive the next month's kit as soon as it's released. I got my bulletin board at Walmart - it's a standard 17x23. 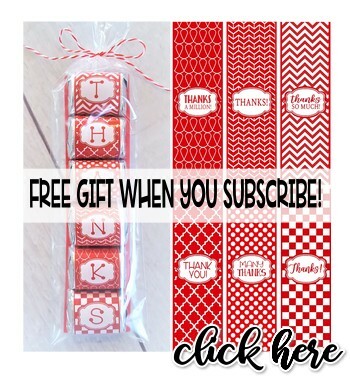 You can also use a magnet board or just pt them on your fridge. I also have my kids pick a picture from my gospel art kit and display it in a frame nearby. I don't have alot of wall space - so we have ours on an easel on our hearth. A family room or family command center make great spots too! I used glossy brochure paper to print mine - but have resisted the urge to laminate... since it's swapped out so quickly, it's really not necessary. 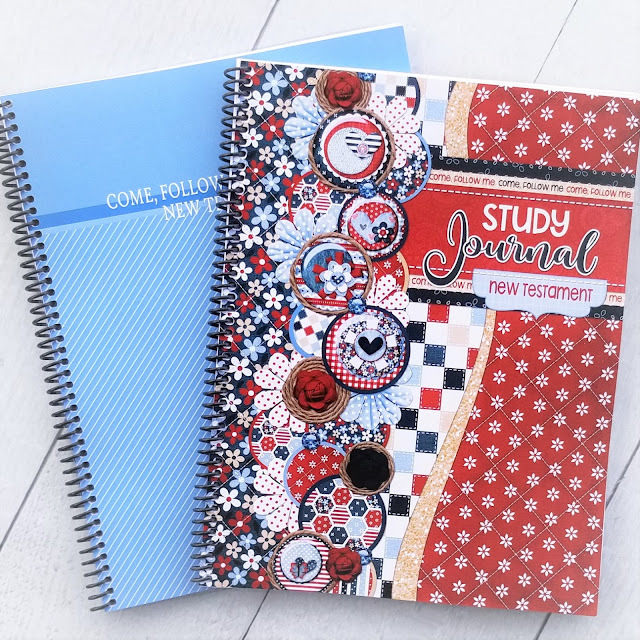 Do you have your Study Journal yet? Teaching our families is SO IMPORTANT... but BEFORE we can do that, we MUST spend time in personal study!! My Journal and Notebook will help you extract and record the most important things you find in your reading and study, how it applies to you and why it stood out. These are essentially the same - the only difference is the Journal is cute/whimsical (inside and out) and the Notebook is much more plain. Both have the same titles and note spaces... just a difference in the style. 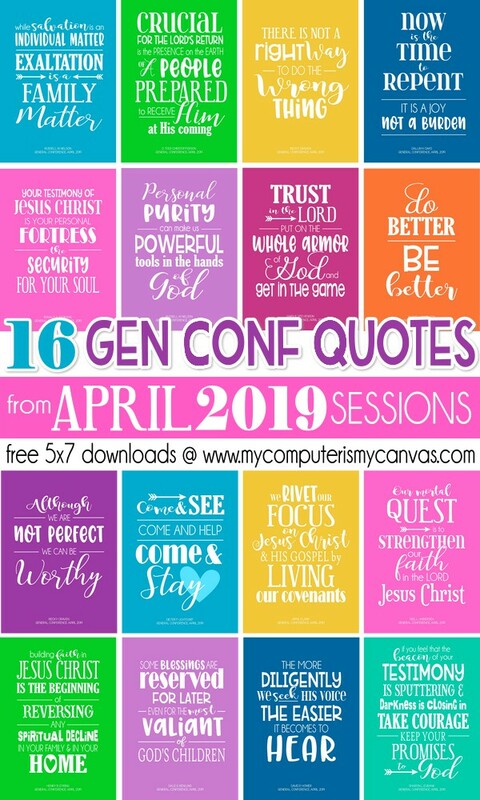 Very fun to use and study together with your spouse - great for teens/youth as well! Ok... that wraps up February updates! 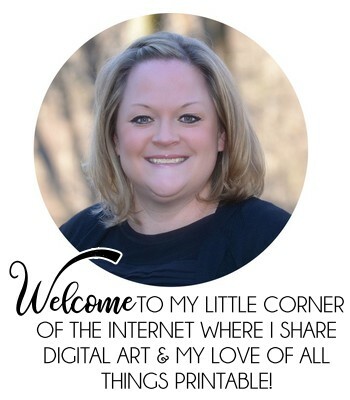 Be sure to check my Instagram, Facebook or join my newsletter if you don't want to miss new releases, reminders and links to download the textables each month!